The winners of the 2018 ALPSP Awards were announced at the Conference Dinner on 13 September. Download the press release here (pdf). 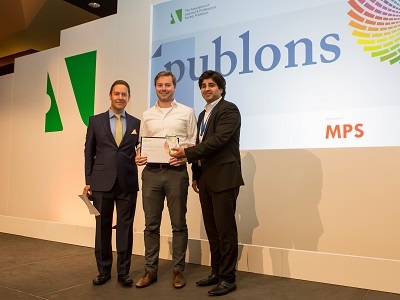 Watch the video of the finalists session at the ALPSP Conference here. 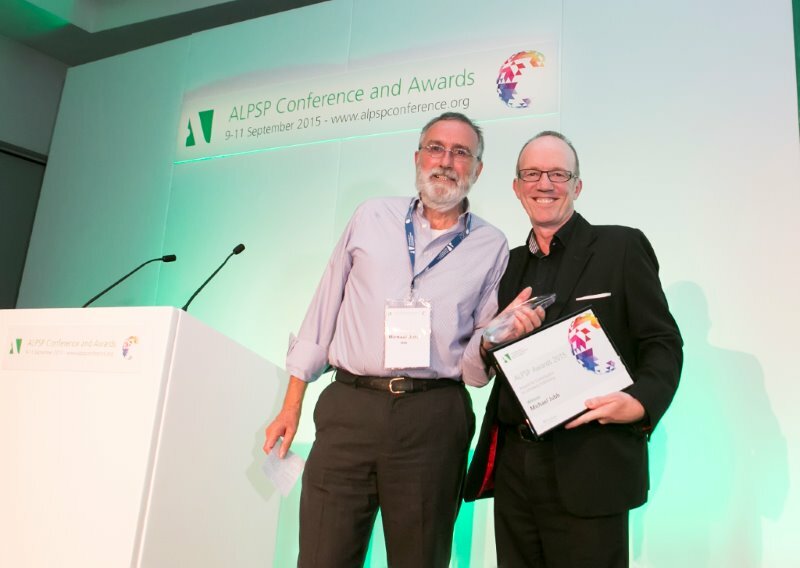 ALPSP Council was delighted to present this year’s award to Richard Fisher. 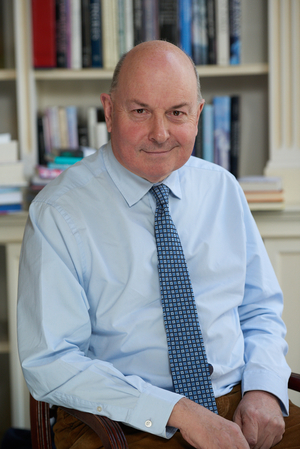 Richard studied history at Oxford University and worked in London before joining Cambridge University Press in 1983. He was for many years a commissioning editor in history and politics at CUP, and then took on a sequence of managerial roles culminating in his appointment as Managing Director, Academic Publishing: he stepped down as MD and left CUP at the end of 2014. He is now Deputy Chairman of Yale University Press, a non-executive board member of Edinburgh University Press, and a member of the advisory board of Berghahn Books. Although Richard’s long and distinguished career at CUP more than merits this award, it is his post-retirement work that deserves especial recognition. Richard has advised a number of high profile groups looking at the future of our industry and is also a regular speaker at industry events. Richard has been one of few senior voices inside publishing to champion the book and the humanities in national policy debates too often driven solely by STEM. Last but not least, he is an invaluable source of generous and sage advice both formally and informally to others within the publishing community. 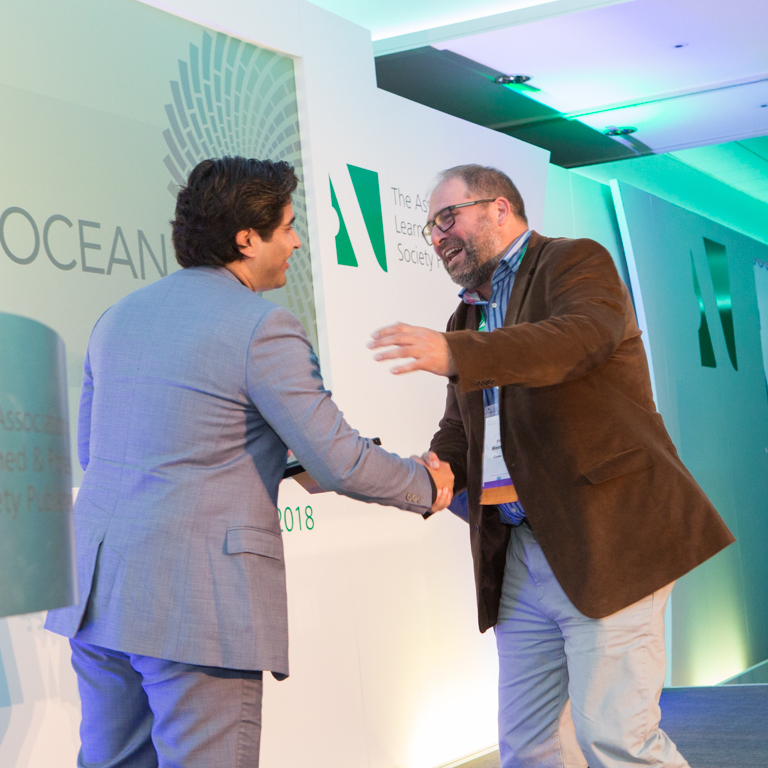 The winner of the 2018 ALPSP Awards for Innovation in Publishing was Code Ocean. Code Ocean is a cloud-based computational reproducibility platform that provides researchers with an easy way to share, discover and run code published in academic journals and conferences. More and more of today’s research includes software code, statistical analysis and algorithms that are not included in traditional publishing. The code, analysis and/or algorithms is often essential to reproducing the research results and reusing them in new products or research. The overhead and challenge to getting access to, understanding how and reproducing the work creates a major roadblock for researchers, one that inspired the creation of Code Ocean. The Code Ocean platform allows researchers not only to deposit their code but all other dependencies in order for their scientific software code to run. Using container technologies, code execution is agnostic to programming languages, versions and/or operating system. The resulting compute capsule can then be embedded in a widget accessible within the scholarly content. 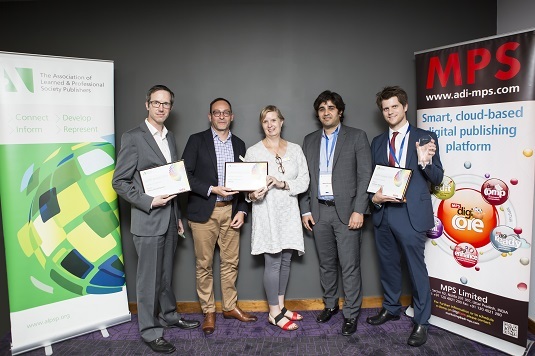 The finalists were showcased at the ALPSP Conference and the winner announced at the Awards Dinner on Thursday 13 September. The ALPSP Awards recognise and celebrate the best innovators in our industry at a time when scholarly publishing is changing rapidly. 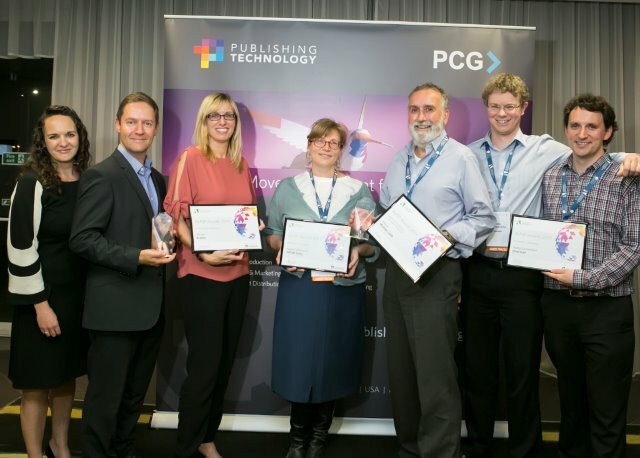 We received more than 40 submissions for this year's Awards for Innovation in Publishing - read more on our conference website here . Council was delighted to present this year’s award to Sara Miller McCune, Founder and Executive Chairman, SAGE Publishing. Guided by an entrepreneurial spirit and an unwavering dedication to academia, the then-24-year-old Sara founded SAGE in 1965 in New York City. As well as growing a hugely successful publishing business, Sara is also a major philanthropist. 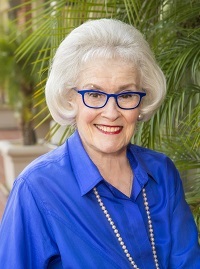 She founded the charitable McCune Foundation in 1990 and has also funded schools in the developing world and made significant financial contributions to many other health and cultural causes. She’s won several major business awards and was recently honored by the Women’s Campaign International at an event entitled: “Shattering the Glass Ceiling, Honoring Inspirational Women Around the Globe”. All of this has been achieved while keeping the company independent. Sara is worthy of recognition for her work relating to scholarly publishing – under her leadership SAGE has not only undertaken many progressive initiatives, it has promoted an open approach to partnering and supporting young companies. For 2017, the judges were delighted to announce two winners: Publons and SourceData from EMBO. Publons is harnessing the power of peer review to reshape scholarly communication. Its crosspublisher platform collects peer review activity and helps researchers to keep a verified record of their review and editorial work. Publons is also providing free, online training for reviewers and developing the tools that editors need , screen, contact and motivate reviewers. The judges welcomed this initiative from Publons which benefits the whole publishing community and recognise the scale of the undertaking involved to make their vision a reality. SourceData from EMBO SourceData is an open scientific discovery platform to browse, connect and search papers based on the data shown in their figures. It provides a suite of intuitive tools to ﬁnd research data that are locked away in ﬁgures and scientiﬁc illustrations. By enabling scientists to ﬁnd the data they need in publications easily and precisely, SourceData provides intelligent, data-oriented navigation of the research literature. The judges recognised the high level of curation and complex development behind this platform and its significance to the dissemination of research. This service enables you to make smart, actionable, data-driven decisions about your OA business activities, using curated, continually updated interactive visualizations and analyses. The Escalex database facilitates ease of access to food regulations across geographies, with multiple ways to navigate content, and comprehensive indexing for targeted results. Supporting INASP’s vision of research and knowledge at the heart of development, AuthorAID research-writing MOOCs are helping thousands of Southern researchers overcome their research communication challenges and publish their work. Springer Nature SharedIt is an industry-leading initiative to provide authors and subscribers with a free, legitimate and simple way to share research with all audiences. 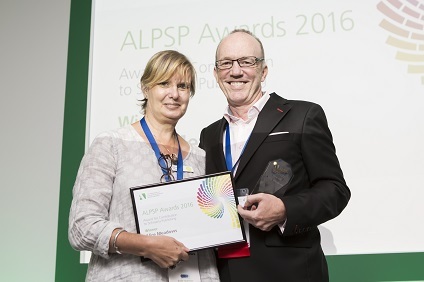 The winners of the 2016 ALPSP Awards were announced at the Conference Dinner on 15 September. Download the press release (pdf). 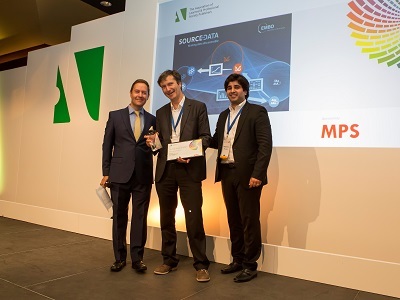 Watch the presentations by the finalists at the 2016 ALPSP Conference here. Read their posts on the ALPSP Blog. Council was delighted to present this year’s award to Alice Meadows. 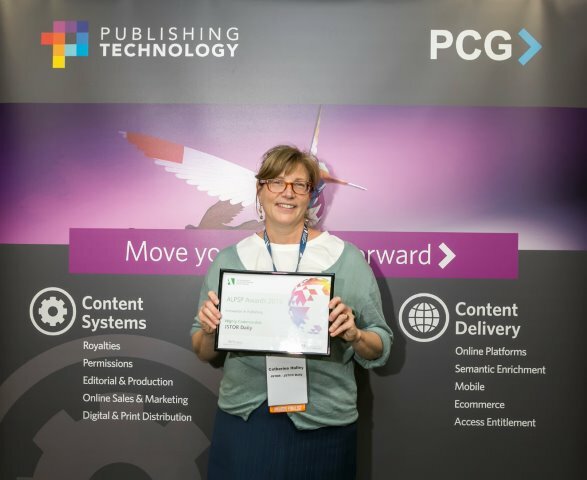 As Director of Community Engagement and Support at ORCID, Alice has played a central role in expanding its presence with an endeavour that really bridges the divides between publishers and authors. Prior to this, she held a long and distinguished career at Wiley including roles in marketing and circulation, Director of Society Relations and finally Director of Communications. She was a founding partner of the Oxford Publicity Partnership, which provided invaluable services to publishers in the Oxford area for just under a decade. Alice is a regular and spirited contributor to the Scholarly Kitchen and an active participant at any number of scholarly conferences – whether on a panel or tweeting key points from the audience. More recently she has been a vocal contributor to discussions of gender disparity in scholarly publishing through a series of talks and publications. Lastly, there is Alice the mentor. She has been an invaluable source of support, encouragement, and engagement for all those who have worked with (and especially for) her, many of whom have gone on to excel in their careers under her guidance. In summary, her contribution to scholarly publishing is two-fold – not just for the work she herself does to enhance important scholarly publishing initiatives and conversations, but also for coaching the next generation(s) of outstanding publishing individuals. The ALPSP Awards recognise and celebrate the best innovators in our industry at a time when scholarly publishing is changing rapidly. They are open to any new development, product, service, launch or project within scholarly communication. The judges look for excellence in terms of originality and innovation, significance and value to the community, utility and long-term viability. The panel considered an impressive and diverse range of submissions, from which they selected a shortlist of six. These six made a presentation to the judges, following which the panel selected the eventual winners. Posts from each of the finalists may be found on the ALPSP blog. For 2016, the judges are delighted to announce two winners - Cartoon Abstracts from Taylor & Francis and Wiley ChemPlanner. 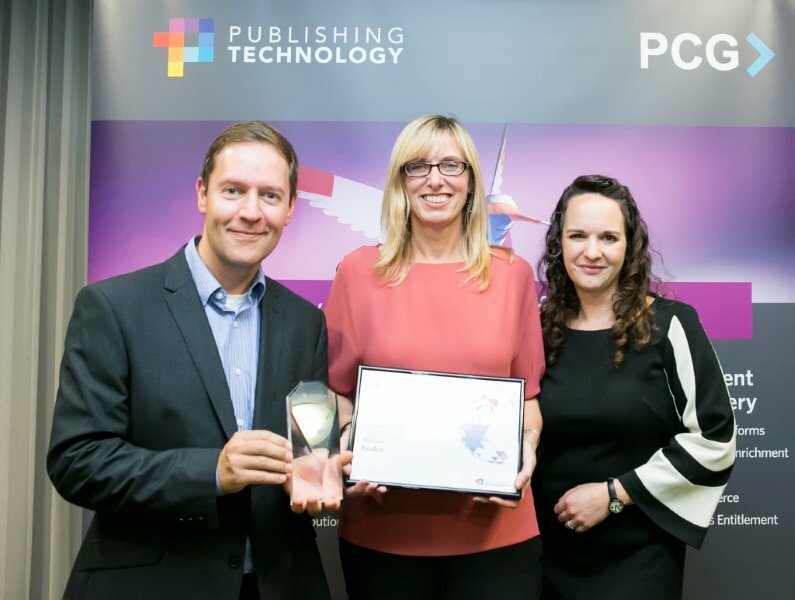 It is interesting to note that this year’s winners are both traditional publishers with a rich heritage and hundreds of years of experience communicating research. Both have been able to innovate and create new and exciting possibilities from within their businesses. 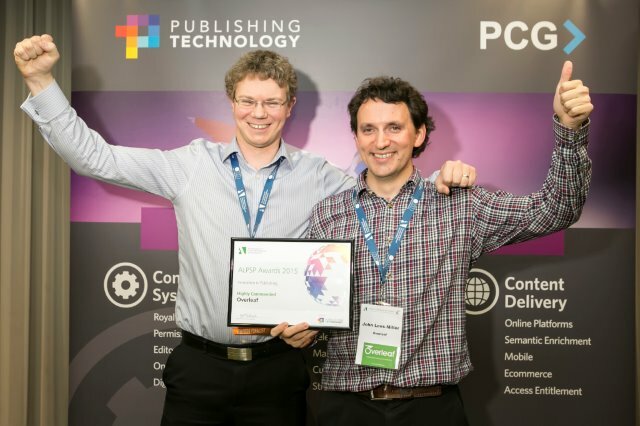 The judges awarded Highly Commended to ORCID which, in a relatively short space of time, has made massive strides to solve the problems of author identification and affiliation in research publishing. Cartoon Abstracts from Taylor & Francis are a fun new way of visualising academic research. 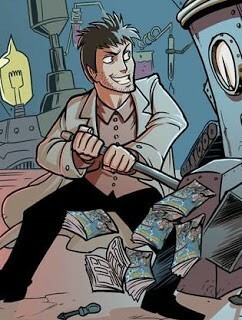 Each individual cartoon summarises the original authors’ work through powerful illustration. This aids the understanding of difficult concepts, broadens the appeal of niche topics, and helps transcend language barriers. In the judges’ view, they have the potential to transform the way in which young people and the wider public engage with research publishing. Wiley ChemPlanner combines state-of-the-art cheminformatics technology with high quality data to speed up the early stages of the drug creation process, potentially getting drugs to patients faster. ChemPlanner lowers the barrier for synthesizing new molecules, thus accelerating drug discovery. It also enables chemists to optimize synthetic routes, eliminating potentially harmful contaminating side products and reducing manufacturing costs. The judges were impressed with the powerful functionality and potential of ChemPlanner. It has a narrow but clearly defined target audience and is an exciting example of how publishing is changing to meet new markets. ORCID’s vision is a world where all who participate in research, scholarship, and innovation are uniquely identified and connected to their contributions and affiliations across disciplines, borders, and time. It provides an identifier (an iD) for individuals, and open tools that enable transparent and trustworthy connections between researchers, their contributions and affiliations, in order to help people find information and to simplify reporting and analysis.